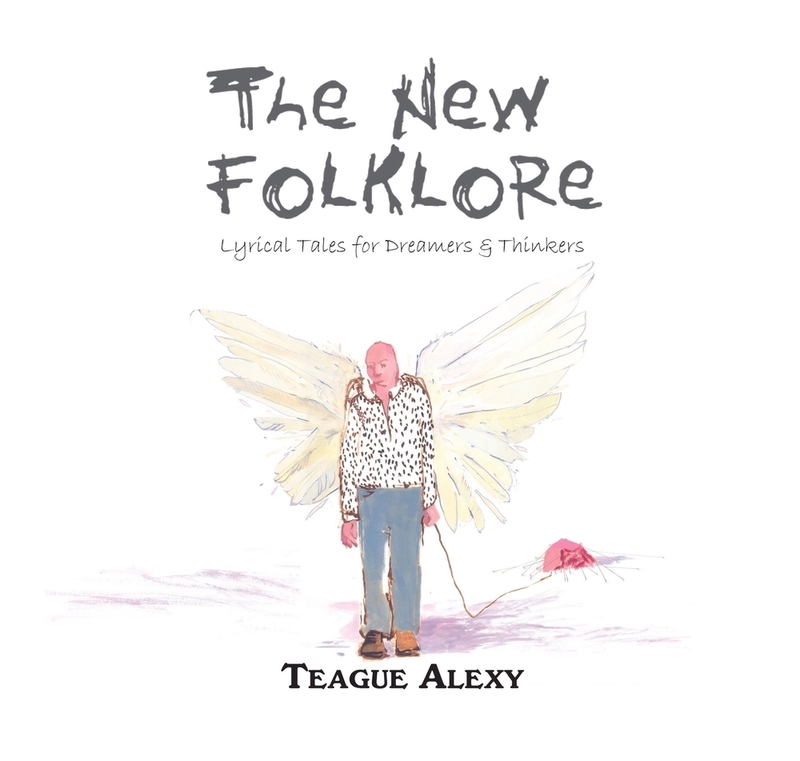 Teague Alexy & The Feelin Band are releasing a new single in connection with Teague’s illustrated book The New Folklore: Lyrical Tales For Dreamers & Thinkers. The How Lefty Stepanovich Turned Water Into Wine single is the first release from Teague Alexy & The Feelin Band since their award-winning 2006 album also called The New Folklore. Teague Alexy, as the story’s narrator, is reunited with Nicholas David who does duty as both piano player and as voice of the cantankerous Mr Borkinszankersneer. Nicholas David is also one of the book’s six illustrators. 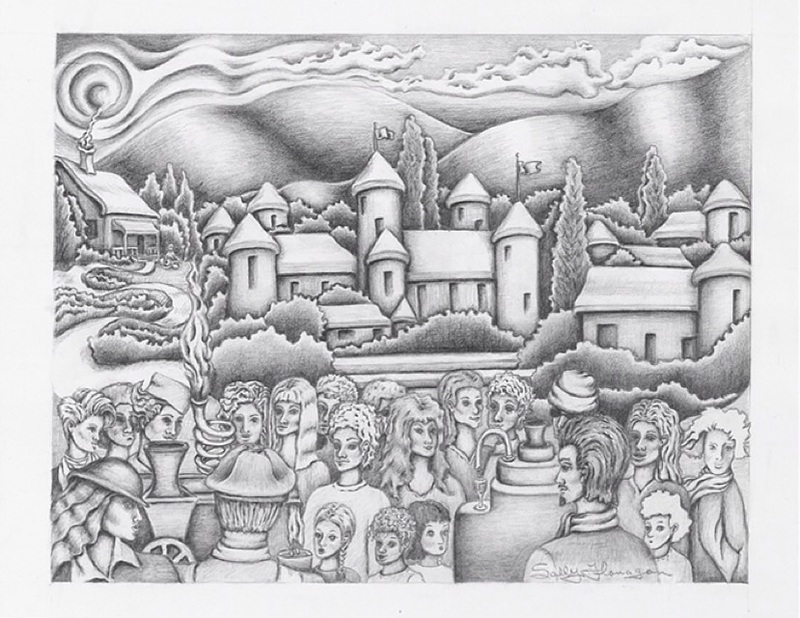 The audio version of How Lefty Stepanovich Turned Water Into Wine features outrageous characters, a full band, sound effects and provides an entertaining companion piece to the illustrated version included in Teague Alexy’s book The New Folklore: Lyrical Tales For Dreamers & Thinkers. Audio versions of illustrated stories Old Lady Truth and Three Little Fish performed by Teague Alexy & The Feelin Band are also available. Teague Alexy & The Feelin Band’s How Lefty Stepanovich Turned Water Into Wine is available where digital music is sold. 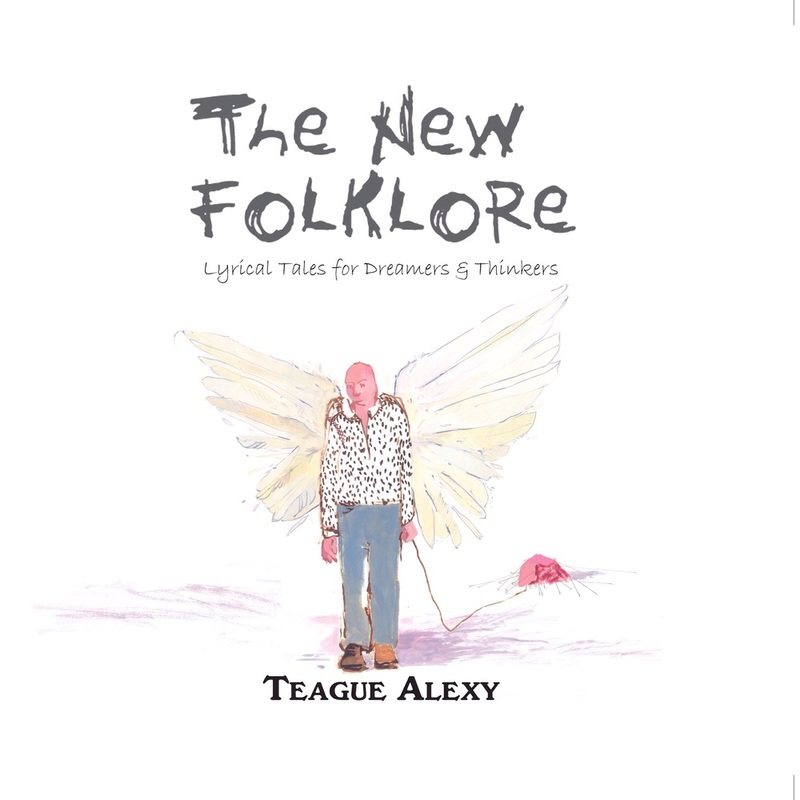 Teague Alexy’s The New Folklore: Lyrical Tales for Dreamers & Thinkers (North Star Press) is available where new books are sold. In the summer of 2005 brothers Teague Alexy and Ian Alexy released their first record as Hobo Nephews Of Uncle Frank. The record was recorded in a kitchen in northern Minnesota and its reception quickly exceeded the expectations of it’s creators when it became a regional hit. Now 5 full length records, several tours and hundreds of shows later Hobo Nephews are celebrating their 10th Anniversary with two shows in Minnesota. The first will be on December 11 at The Turf Club in St. Paul and the second on December 12th at Sacred Heart Music Center in Duluth. Ian and Teague will be joined by two longtime collaborators, drummer Paul Grill (Nicholas David, Dead Man Winter) and violinist Ryan Young (Trampled By Turtles, Pert Near Sandstone.) Paul Grill has drummed on much of The Hobo's recorded work and has joined them on tours to both the east and west coast. Ryan Young is also a frequent, long time collaborator and producer of Hobo Nephews latest record American Shuffle. There will also be some surprise guests at these shows!! We are inviting to celebrate 10 years of music, travel, community and brotherhood with Hobo Nephews of Uncle Frank! Get your tickets now! Teague Alexy's Book Now Available! The New Folklore: Lyrical Tales for Dreamers & Thinkers is a collection of seven stories written by musician Teague Alexy and beautifully illustrated by artists from across the country: The Wisdom of King Joe Colli, Old Lady Truth, The New Tune of Elijah Swoon, Three Little Fish, How Lefty Stepanovich Turned Water Into Wine, Teufelo's Tongue and Old Rickety Bridge. Alexy's modern folktales are told in the tradition of being nonsensical on the surface with strong underlying truths. Filled with humor, lively characters, clever rhyme schemes and wordplay, The New Folklore provides entertainment and deep insight for young and old. For information on musical versions of these stories performed by Teague Alexy & The Feelin Band (featuring Nicholas David) and information on Teague's band Hobo Nephews of Uncle Frank stay tuned to teaguealexy.com. Seven of Teague Alexy's rhyming folktales have been collected into the The New Folklore: Lyrical Tales For Dreamers & Thinkers. The 64-page book will be available in stores October 19 and is now available for pre-order from North Star Press. More information about the book including illustrations and contributors coming soon. Hobo Nephews of Uncle Frank will be making their debut in the First Avenue main room on Saturday, October 24 as opening act for Pert Near Sandstone and Split Lip Rayfield. Less than 24 hours after the April 21 release of new Hobo Nephews of Uncle Frank album American Shuffle, the national sports media began providing extensive coverage of the song Old Number Four. Though not mentioned by name, the song is an homage to retired NFL legend Brett Favre. CBSSports.com broke the story on Wednesday, April 22 - one day after the release of American Shuffle. Within 24 hours Old Number Four had over 20,000 YouTube hits as coverage quickly spread to local, regional and national news outlets including ESPN, NBC, FOX, Star Tribune, Green Bay Press Gazette, Duluth News Tribune and The Jim Rome Show. Pre Order AMERCIAN SHUFFLE at Chaperone Records. Ian and Teague Alexy will be live on-air on 103.3 KUMD Duluth on Wednesday, April 1 at 11 am CT. Ian and Teague will be discussing and playing songs from their new album American Shuffle available April 21 on Chaperone Records. Afterwards, Hobo Nephews will head upstairs to play the UMD Food Court as part of NorthFest. NorthFest is an all day, all night event on the campus of UMD also featuring Haley Bonar, Fever Dream, Red Mountain and many more.